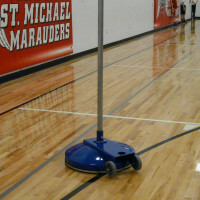 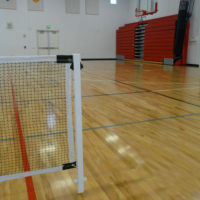 Portable P.E. 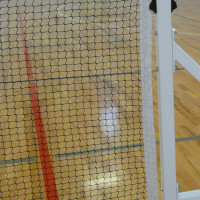 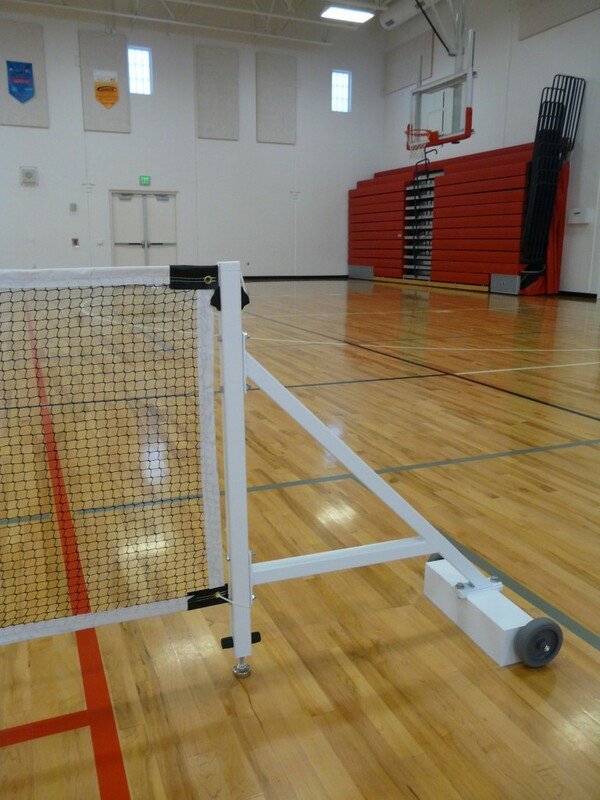 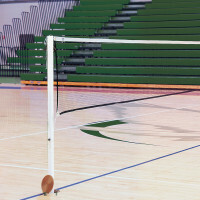 Pickleball System - Bison, Inc. 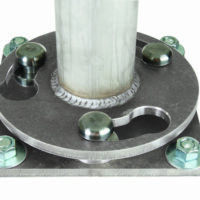 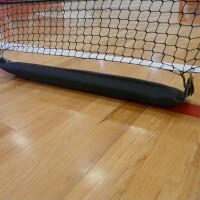 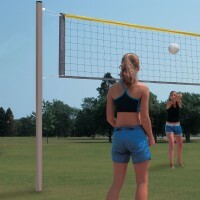 Heavy weighted base with integrated transport wheels makes set up easy and fast in any indoor or outdoor location • System includes 111/16″ square, white powder coated aluminum uprights, crankless net tensioning system, PK10N net and weighted center net hold downs.